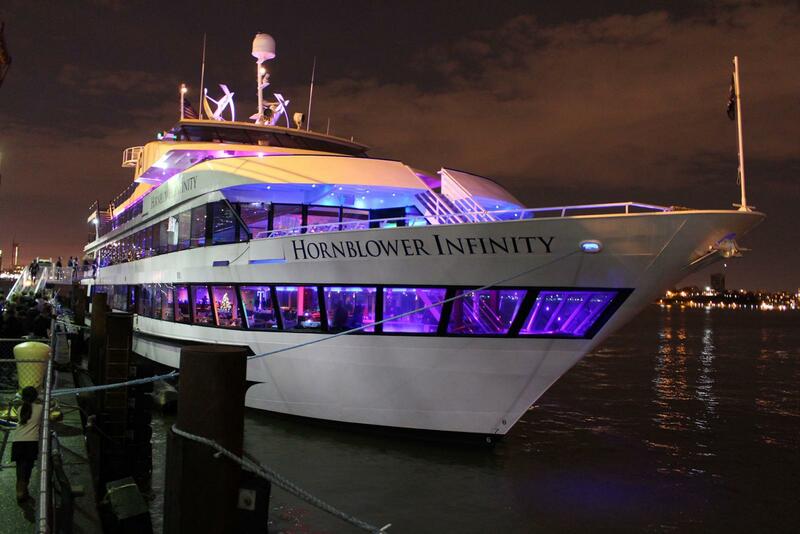 With its extensive fleet, Hornblower is one of the major providers of lunch and dinner cruises in New York. You may be familiar with the name; they also operate in other cities such as San Francisco and San Diego. 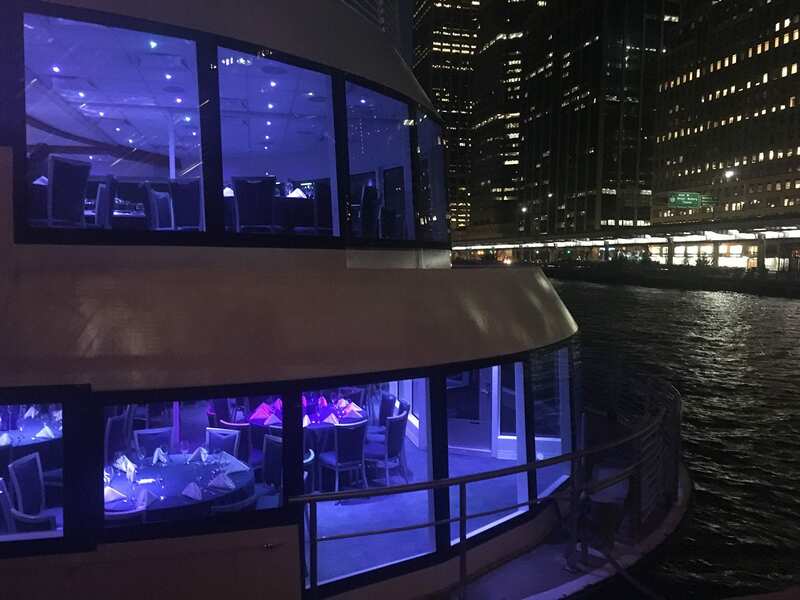 Following a wonderful time on the Hornblower Infinity for the Christmas Eve Cruise, I was also invited to join the festivities for the Elite New Year’s Eve Dinner Cruise. 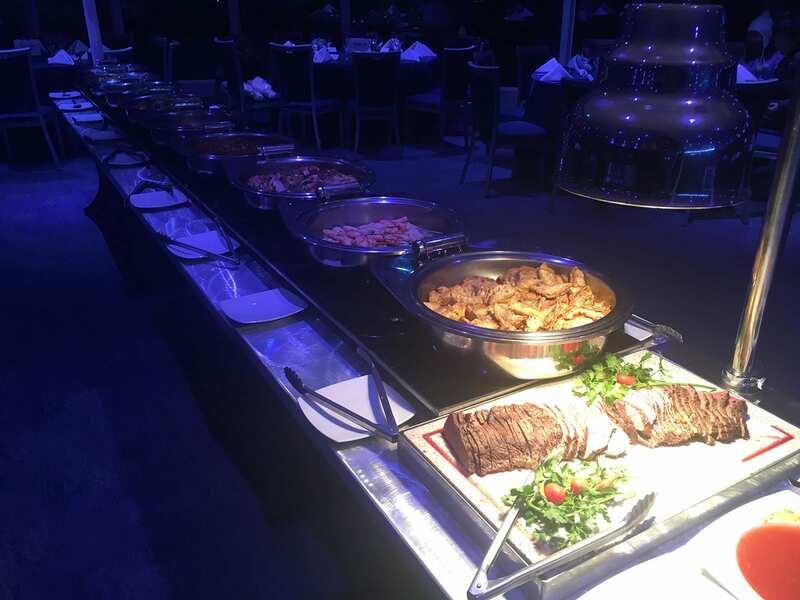 After already two fabulous evenings on board a Hornblower cruise, and since all good things come in threes, I just kept on going and celebrated the start of the Chinese New Year with the Chinese New Year Fireworks Dinner Cruise. Of course, the Chinese New Year Fireworks Dinner Cruise is of great interest to Asians and is well attended by this ethnic group. 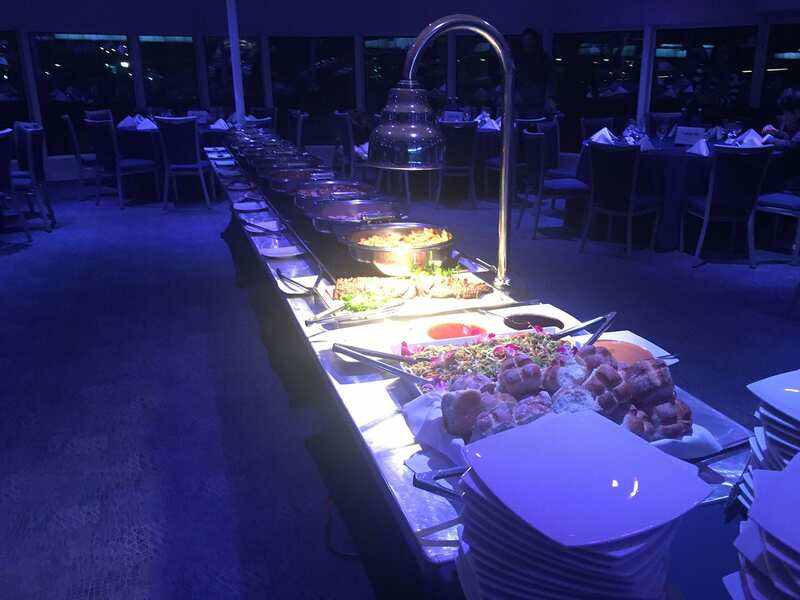 But the cruise is also a perfect fit for all those who love Asian culture and cuisine, and want to enjoy a spectacular fireworks show. The Chinese New Year Fireworks Dinner Cruise truly feels like a trip to Asia. From the food to the decorations – you could swear you were in China. 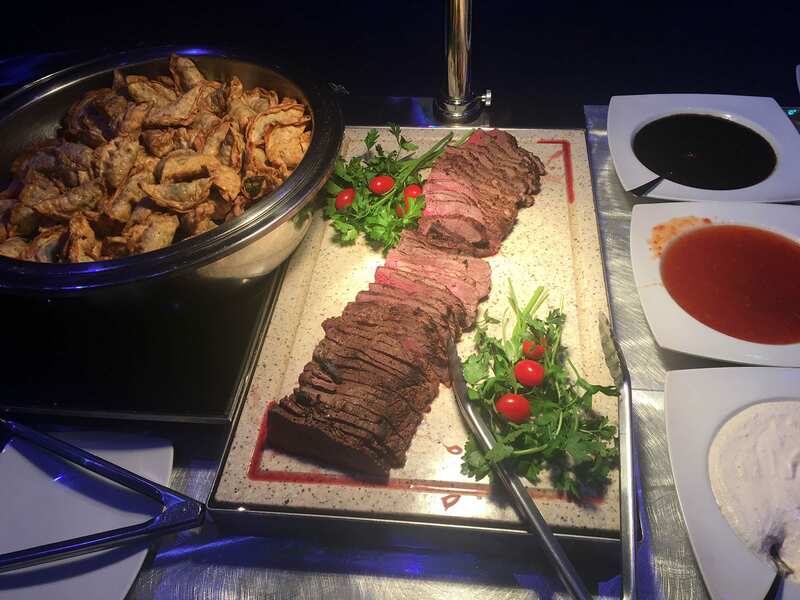 The Chinese buffet was terrific, and the open bar held true to its promise: we could choose from all cocktails, wines, and non-alcoholic beverages. Beer drinkers were able to enjoy the taste of popular Chinese beer – how often do you get a chance to try that? The cruise ship was the Hornblower Sensation, a beautiful yacht with capacity for 425 guests. After a short wait, we left South Street Seaport and headed toward the George Washington Bridge. The boat then turned around and headed towards the Brooklyn Bridge and the Statue of Liberty. You could enjoy the fireworks with views onto the Hudson River towards New Jersey. 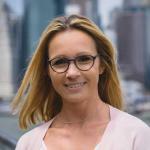 After dinner, there were many opportunities to take stunning pictures of New York City’s landmarks like the Statue of Liberty, Ellis Island, Brooklyn Bridge, and One World Trade Center. The captain makes brief announcements about upcoming sights, giving you ample time to secure a good viewing spot on deck. 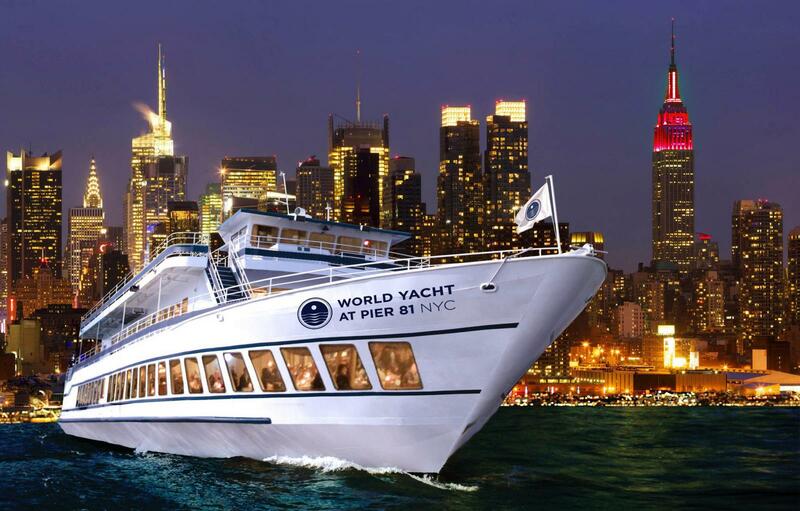 Gazing at the New York City skyline from the water is always special, and is an experience that no visitor should miss. 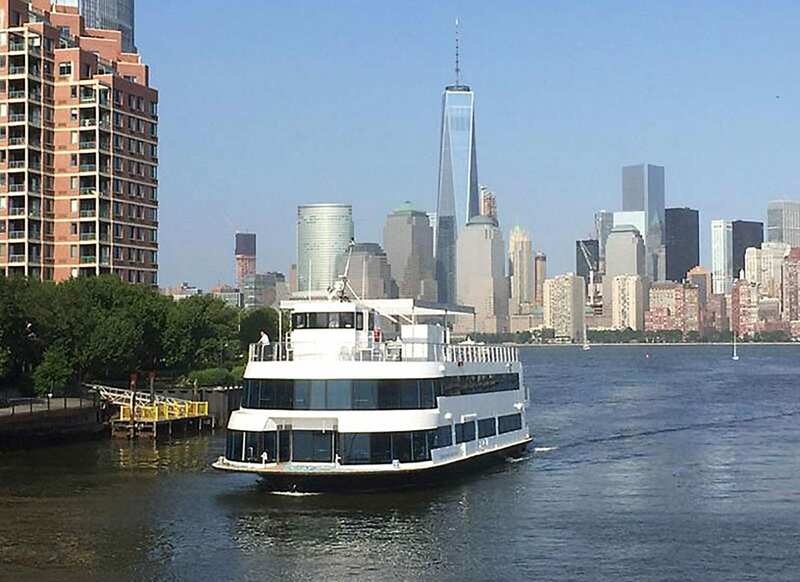 Thankfully, there are several options you can choose from: a water taxi, the Staten Island Ferry, or a Hornblower Cruise. 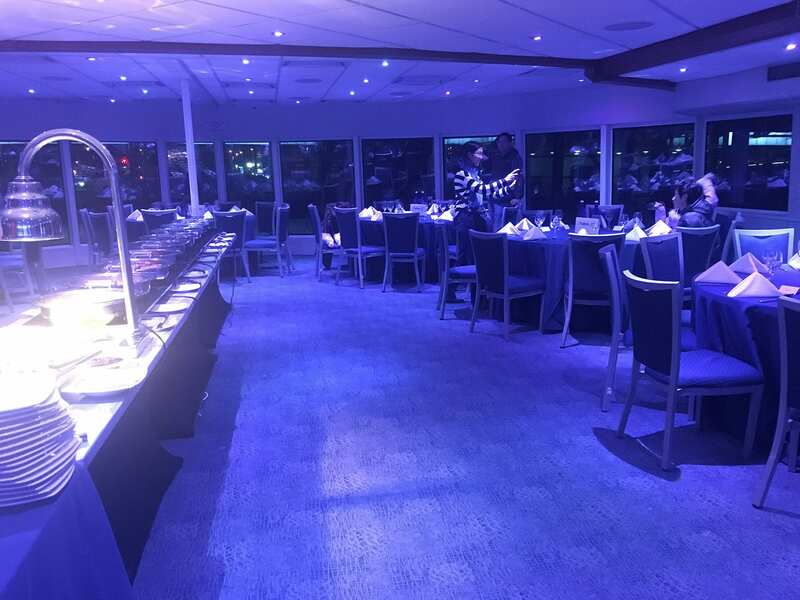 The early bird catches the worm: the Chinese New Year Fireworks Dinner Cruise 2019 will be one of the coveted events in town and sell out quickly. We will publish price and ticket information here as soon as the 2019 cruise is available for booking.